Ga-Mphahlele, Limpopo, South Africa (11 March 2013) – Bethuel Nchabeleng is a 32-year old man from Limpopo. He has no job and lives with his parents in a modest home in the tiny town of Ga-Mphahlele. 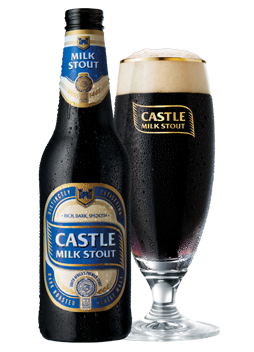 On weekends, Nchabeleng and his friends always make the time to meet at their local tavern, where they unwind and enjoy the rich, velvety-smooth, taste of Castle Milk Stout. 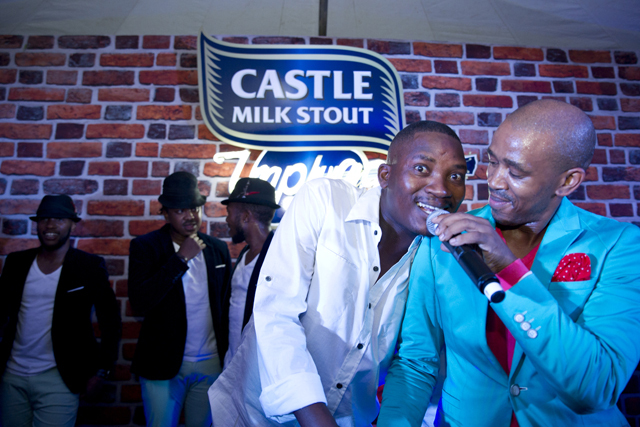 Back in November 2012, Nchabeleng entered the Castle Milk Stout “Win your own Private Concert” promotion, which was advertised on the reverse side of his beer crown. The competition offered three lucky consumers an experience of a lifetime: A private concert, performed by their favourite South African artist, at a private location, open only to the winner and 40 of his friends. “Man, I still feel like this is not real! I was just trying my luck with this and can’t believe I actually won,” exclaimed Nchabeleng. His artist of choice was the famed singer-songwriter Theo, from Mafikizolo, one of South Africa’s most established and successful Afro-Pop groups. “I have loved Theo since his Mafikizolo days and now I get to meet him? This changes everything! I’ve so many memories attached to this guy’s music. This is a very special day for me, shared with people I truly care about. I’m very, very happy!” he says. Theo opened his performance with acoustic versions of his songs, warming up the crowd for an evening they’d savour forever. 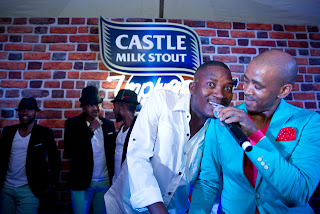 Following that acoustic set, he called Bethuel up on stage and shared his microphone with him singing “Ndihambela phezulu”, a gesture that was highly appreciated by his cheering friends. The evening took a different turn when Theo performed his dance music. Nchabeleng and friends were evidently happy, dancing to every song. Being a consummate performer, Theo fed off the energy of the crowd. The night reached a climactic point when he closed his set with the latest hit single “Khona.” The crowd screamed and danced with joy, singing along to the song. It was a truly a moment worth savouring.